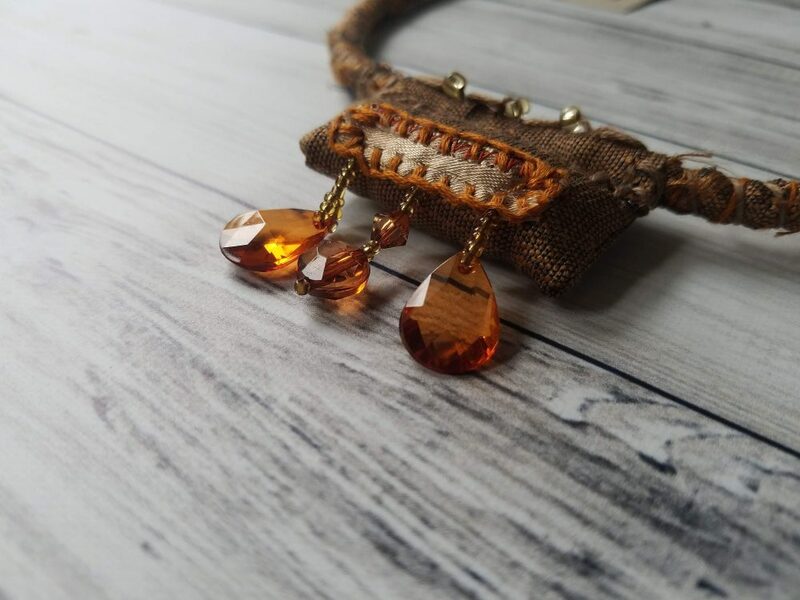 You will enjoy seeing light shinning through the beautiful amber-colored beads in this pendant necklace! 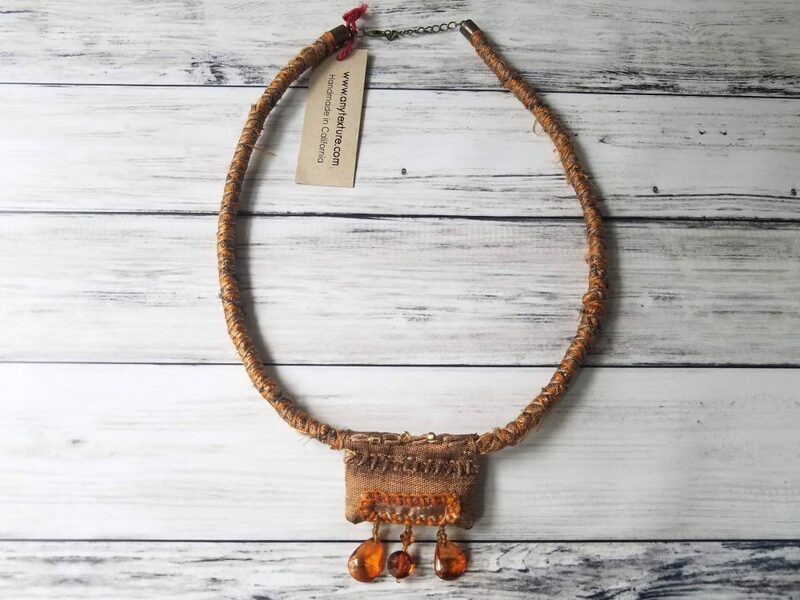 This is a unique, one-of-a-kind piece is handcrafted from upcycled materials, making it eco-friendly as well as beautiful. 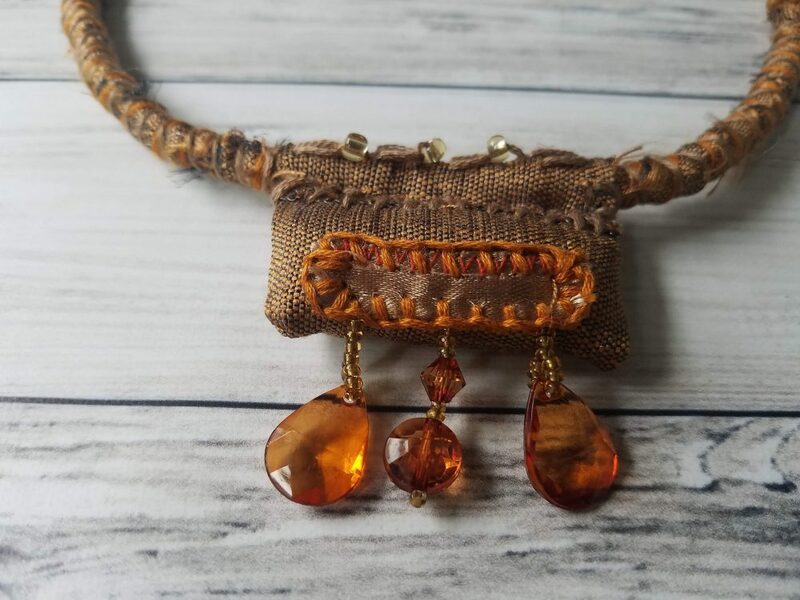 With its gold-colored textiles, matching embroidery floss and large rectangular beaded pendant, it is a statement piece that will make you stand out from the crowd. Get it for yourself, or as a gift to a special woman in your life. 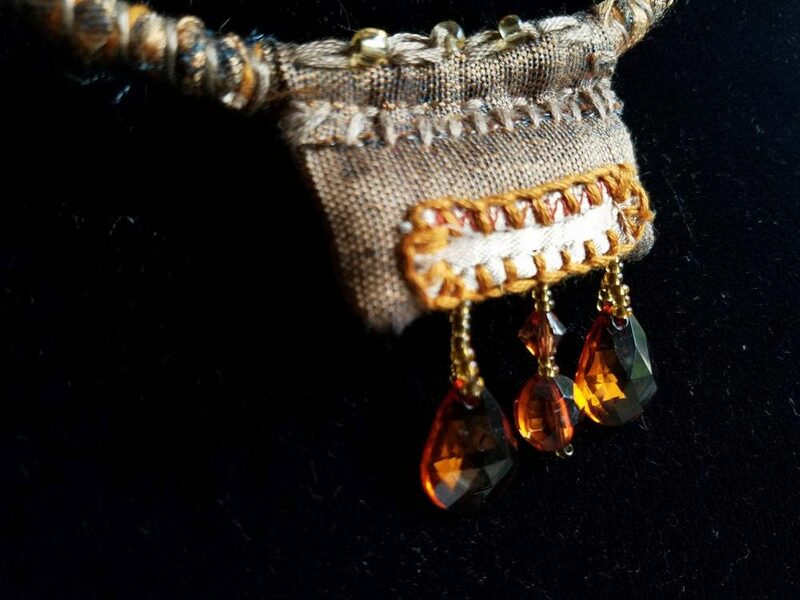 – The necklace is 22" long. 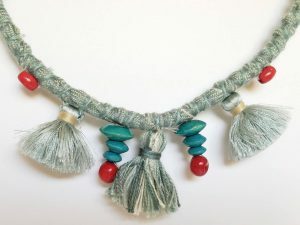 Its clasp ends with a chain, that can add another inch or so to the length, if desired. 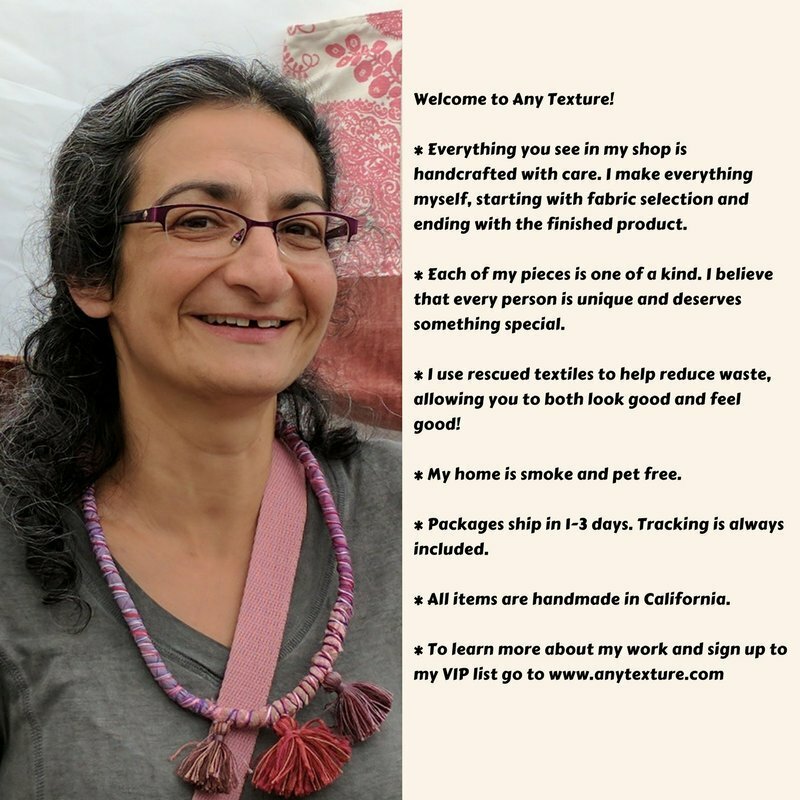 – Made from repurposed high-end designer fabrics, that are both gorgeous and strong. 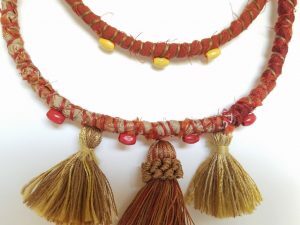 The fabrics are wrapped around a rope and are then wrapped with embroidery floss. 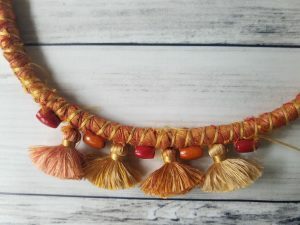 – Decorated with orange beads. 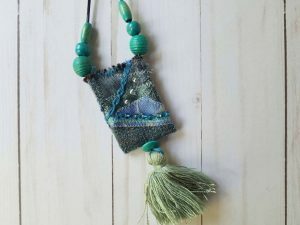 – Features a large, stuffed textile pendant with attached beads. 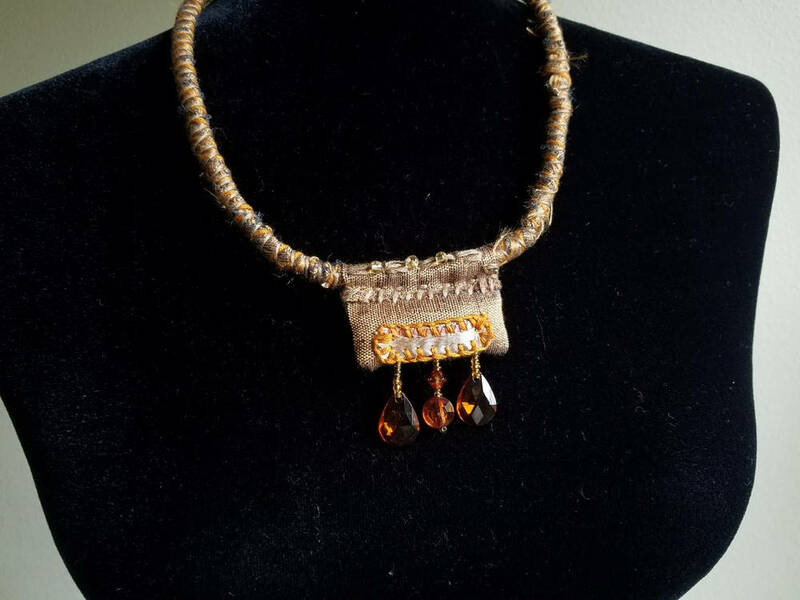 – Adorned with glass and acrylic beads. – Some fringing is expected, and is part of the design.